A. I’m located in Kirkland, Washington so about 20 minutes from Downtown Seattle! A: Absolutely! I travel all over! I’ve photographed weddings in Oregon, California, Arizona, and all the way across the country in Vermont! A: Realistically, it’s best to book me as soon as you book your venue and have your wedding date secured ESPECIALLY for the summer months! My calendar fills quickly! Q. When should I book you for my wedding? I do offer you the opportunity to purchase a second photographer option! With that said, I have photographers that I absolutely adore and trust to photograph your day along side of me if you do choose that option! The beauty of weddings is that they require a different approach for many aspects of the day! 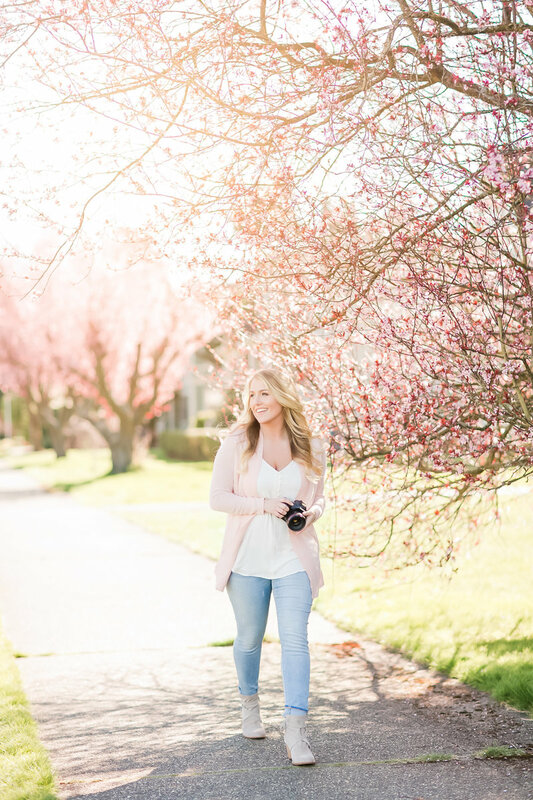 I make sure to capture your day as authentically as possible all while maintaining that magical feel! As you can probably tell by now, I’m a huge fan of color! I like to consider my editing style light & bright with a dash of whimsy! For an engagement session, you can expect your images in an online gallery within 2 weeks. For your wedding photos, you can expect to receive them also in an online gallery within 4-6 weeks. Q. When will I receive my photos? This one is a hard one because every wedding is so different! Therefore, I don’t promise a certain number of images! However, on average couples receive about 100 images per hour.